Time to dive back into the first season! While we eagerly await the arrival of Westworld’s second season, we’ve been brainstorming various ways to fill the offseason void that we’re all currently trudging through. 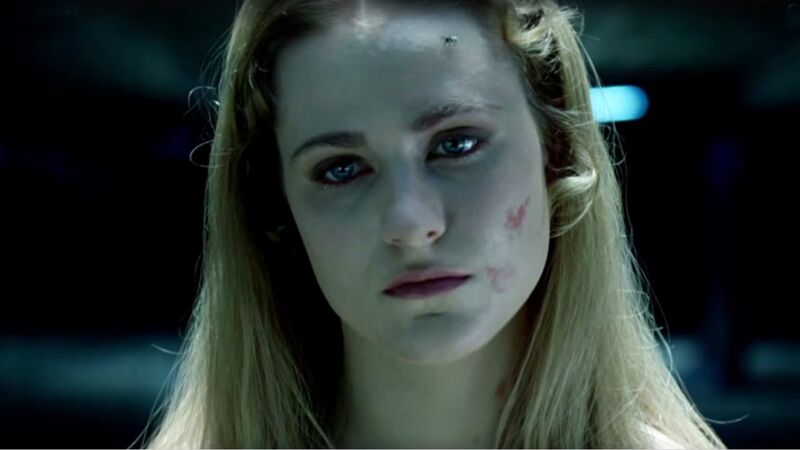 Small pieces of casting or production news are sprinkled on us every so often, creating a brief bout of excitement, but too soon we inevitably find ourselves back in our Westworld-less state. Then, we realized – the best way to fulfill our desires of returning to the Wild West is to actually return to the place that introduced us to this precisely crafted world. With that, we are proud to introduce our Westworld Rewind series. Throughout the next couple months, we’ll be revisiting each episode of Westworld from its first season, focusing on one episode per week. Knowing in advance how the entire season plays out, our hope is to uncover new insight and clues that may have been missed during the show’s initial broadcast. We also encourage you, dear readers, to go back and re-watch the first season as well so that you can join in on the conversation and express your own insights. You ready? Let’s jump right in! 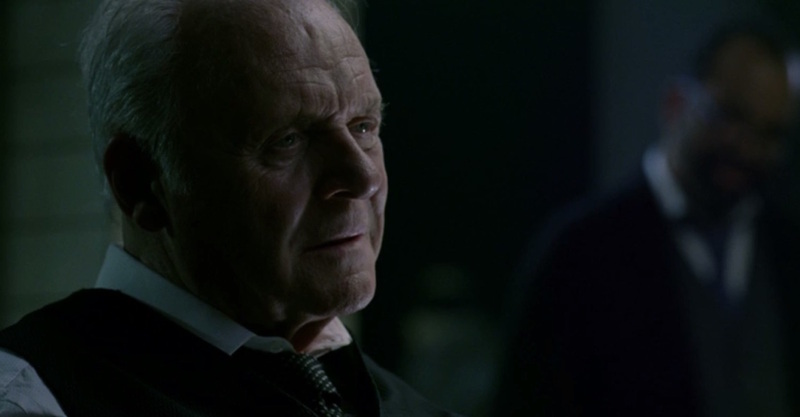 When I initially watched the series premiere of Westworld last year, I remember a feeling of amazement at how quickly the episode grabbed and held my interest. 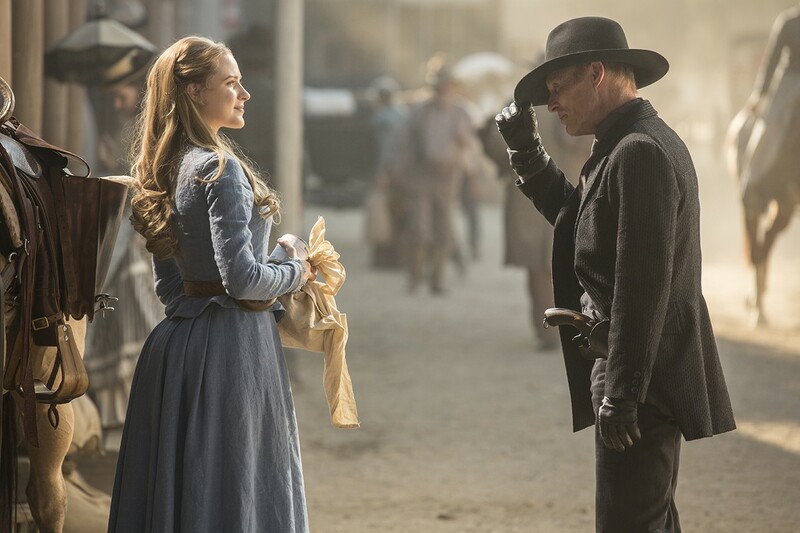 The show’s perfect fantasy world is quickly set – Dolores (Evan Rachel Wood) waking up in her perfect little farm house, greeting her loving father Peter (Louis Herthum), heading into town to find her long lost love Teddy (James Marsden) – perhaps too perfect. I also quickly realized this world certainly has a dark side. 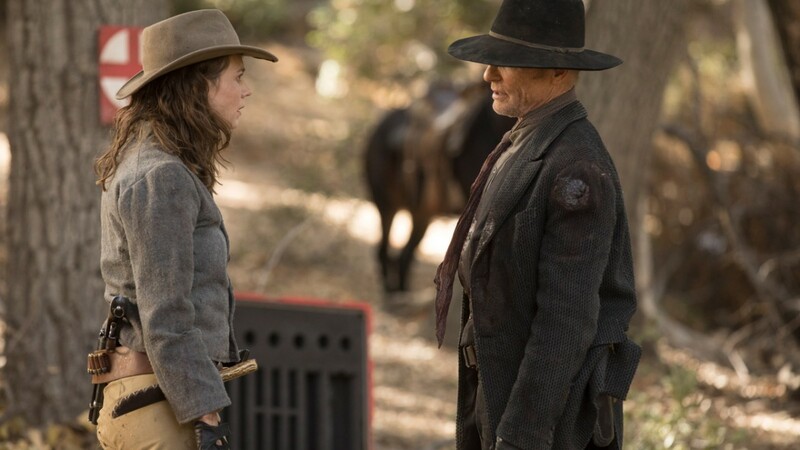 Hosts start malfunctioning, Delos management seems to be on their heels, and hello Mr. Man in Black (Ed Harris)…I forgot how intense his introduction is when he confronts Dolores and Teddy at the Abernathy farm house! 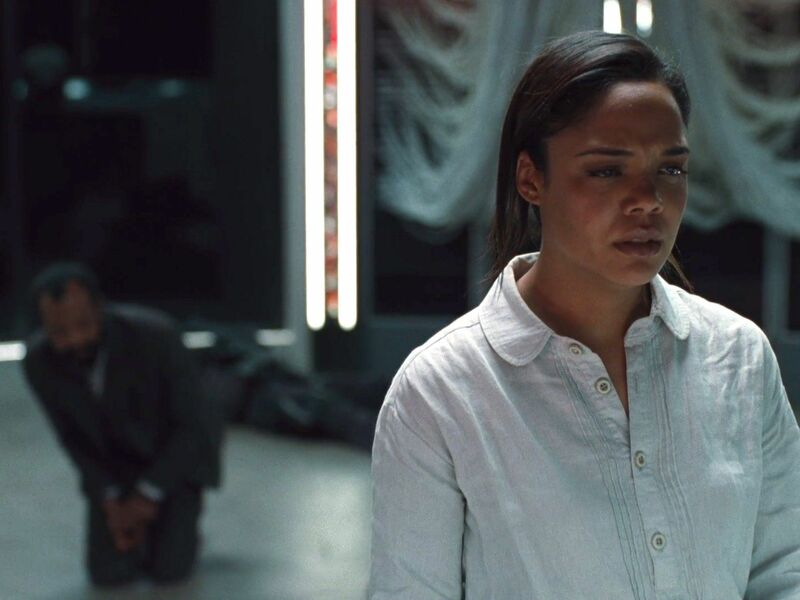 The point of my reminiscing is to say that all these feelings returned for my second viewing of the episode, which I think speaks a lot to the quality of the writing (by Jonathan Nolan and Lisa Joy, based on Michael Crichton’s story), acting, and direction (by Nolan). However, what most struck me as I re-watched this episode is just how many hints initially went completely over my head. 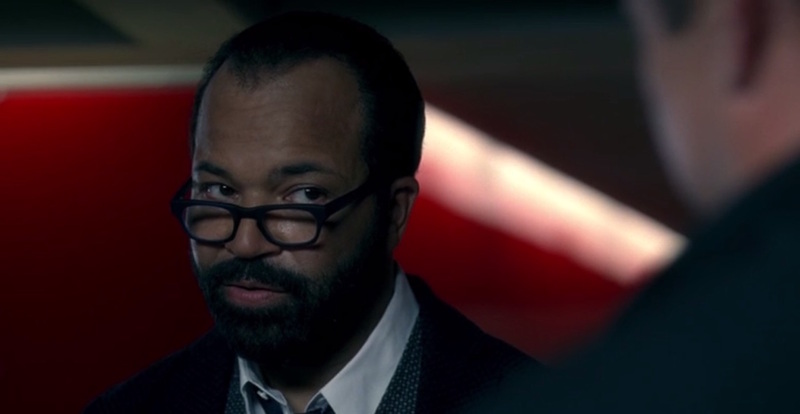 Specifically, there were two distinct revelations that were subtly but effectively introduced through these clues – Bernard’s (Jeffrey Wright) true identity, and Dr. Ford’s (Anthony Hopkins) ultimate plan. 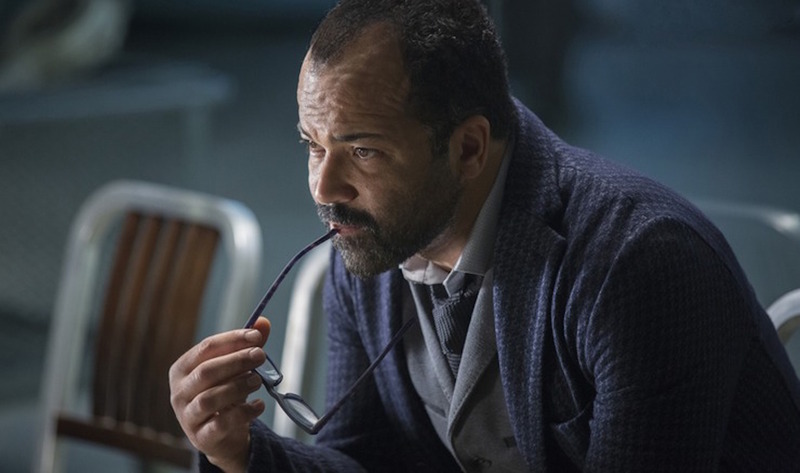 Bernard’s true identity as a host is never explicitly stated in the premiere, but the ways in which he responds to certain situations over the course of the episode hints that he may not be the human we all initially assume he is. 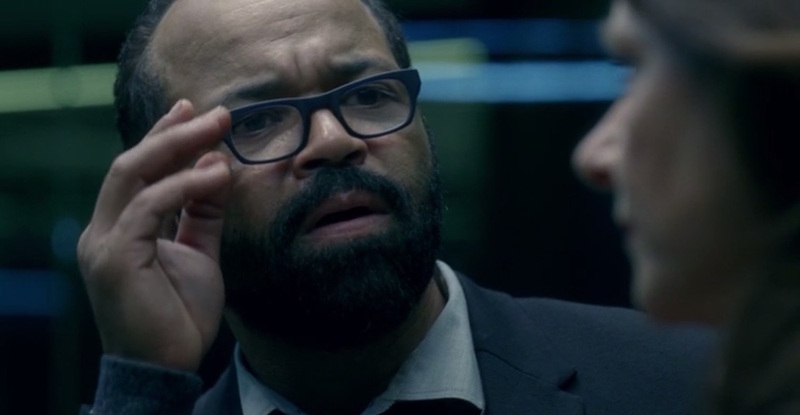 At one point during the episode, Bernard receives a “Livestock Alert” on his handheld device. As a result, he gets together with Security Chief Ashley Stubbs (Luke Hemsworth) and Delos management Theresa Cullen (Sidse Babett Knudsen) to discuss this issue, which turns out to be coming from cold storage. Stubbs and Theresa are obviously worried about this issue, and are brainstorming the best way to handle it. Bernard, however, finds it more important to ensure the duo that they have nothing to worry about. “I think you guys enjoy playing dress up as much as the guests. The hosts can’t hurt you by design,” says Bernard. This statement and the tone in which he delivers it feels inappropriate given the weight of the situation. It can be argued he is merely defending the product that he and Ford created, and his reassuring tone is being used to calm Stubbs and Theresa’s nerves. However, I can’t help but think this statement was more a result of a lack of human instinct and emotional intelligence. It felt more like a programmed response than a truly human one. Again, one could argue that this is just Bernard’s passion for creation getting the better of him in this circumstance. But to me, the way in which Bernard delivers this statement is too out of context, and suggests a complete lack of human emotional intelligence. When I heard this line during my first viewing, I thought nothing about it. However, digging deeper into the meaning of it, I realized this line is a significant clue. For those of you unfamiliar with the story of Lazarus (as I was), the tale goes that Jesus is summoned to Bethany to resurrect Lazarus, who had been dead and buried for four days. Jesus indeed prevails at performing the miracle and brings Lazarus back to life. What is particularly interesting about this story is that theologians hold that this miracle, dubbed the “pivotal miracle,” is what sets in motion the events that lead to Jesus’s crucifixion, death, and eventual resurrection. With this understanding, it seems that Ford is essentially admitting that he knows his reveries update will bring the hosts to life (or to consciousness in the hosts’ case), and as a result, he will ultimately suffer the fate of death at the hands of his creations. Now the question becomes – is Ford planning to continue this biblical narrative by resurrecting himself as an immortal “god” in host form? This episode is littered with additional hints and clues beyond the few discussed above. From Dolores killing the fly on her neck as she says in a juxtaposed shot, “I know things will work out the way they’re meant to,” to Stubbs saying to Bernard that if he had any children, “you’d know they all rebel eventually,” there is no lack of Easter Eggs for true fans. What do you think of this insight? Do you feel differently, or have any additional thoughts you believe are important to highlight? Let us know in the comments! 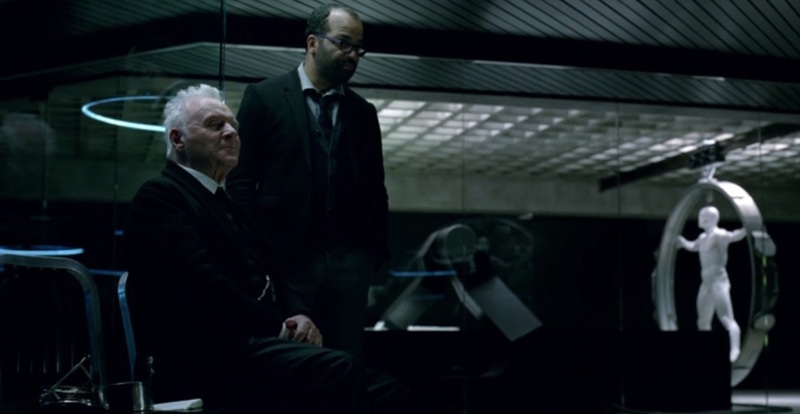 As we were doing so, at some point, my husband said out of the blue “Do you think it’s OK to compare Westworld to Shakespeare?” and then elaborated about how poetic it is, as well as about the perfect composition and the fact that not a single scene, not a single word is wasted or unimportant. Which becomes even more apparent at second viewing, when you notice all the subtle hints. Also, on a different note, I have to admit that this is the only show ever where, after watching them 20 times, I still don’t feel any desire whatsoever to skip the credits. I watch them every time, soaking up every second, every frame. One thing I still wonder about is the photo Peter Abernathy finds. We know it’s William’s fiancee (later wife), but does affect Peter because he recognizes her (we know she’s been to the park), or just because he’s no longer coded to ignore inconsistencies with his world? Also, the “violent delights” phrase seems to be the trigger to unlock their memories, but no one says it to him. Did Ford program him to be “patient zero” so to speak? I may be wrong, but I always took it as Abernathy reacting to the cars, the neon lights, the busy street, all those weird things that were so unlike his world. I think the Shakespeare quotes (not just the violent delights one, but also the “I will have such revenges on you both” and the “by my mechanical hand” and the “hell is empty” etc) must have had something to do with Abernathy’s previous build. Maybe he was a teacher then, or someone otherwise educated enough to know Shakespeare? In a previous build he was a character called “The Professor” and was the leader of a cannibalistic cult. So that’s where “these violent delights” and other quotes came from.